You blew us away with your support in 2018 as we launched our new products after years of preparation. We can’t wait to work with you in 2019. Wishing you a year of health, prosperity, and happiness. It’s time to reveal our first batch of specialty hedge varieties for 2019! These will wow your clients with their unique colors, flowers, fruits, and other unusual traits. My background in landscape architecture pushed me to start InstantHedge in 2013 to fill the market void for quality pre-formed hedges. In June, we just harvested our first crops. 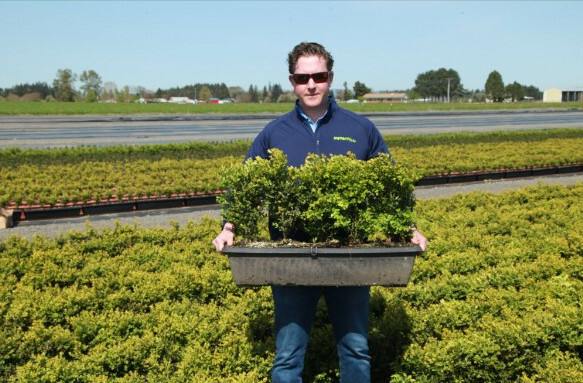 Since then, we’ve shipped thriving hedges to MA, NY, RI, PA, MD, VA, OR and CA. Orders for Fall 2018 and 2019 are pouring in – with some large projects ordering for 2020.